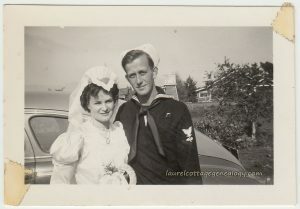 Photo, circa 1943. Possible surname on back: Wright. 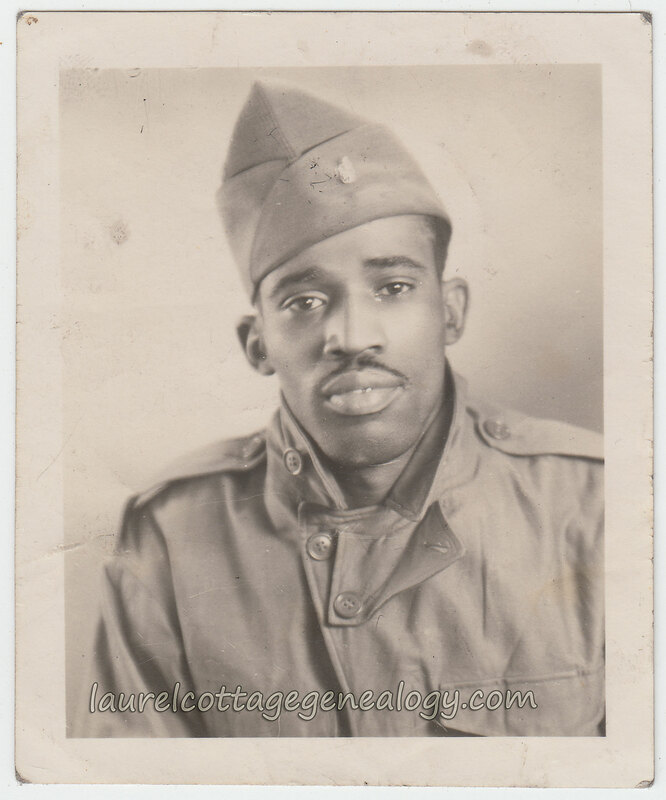 We’re a day late this year for Veterans Day, which was yesterday, but still the sentiment was there, so to honor all veterans…..here’s a snapshot of a handsome African-American guy taken during what appears to be the WWII era. 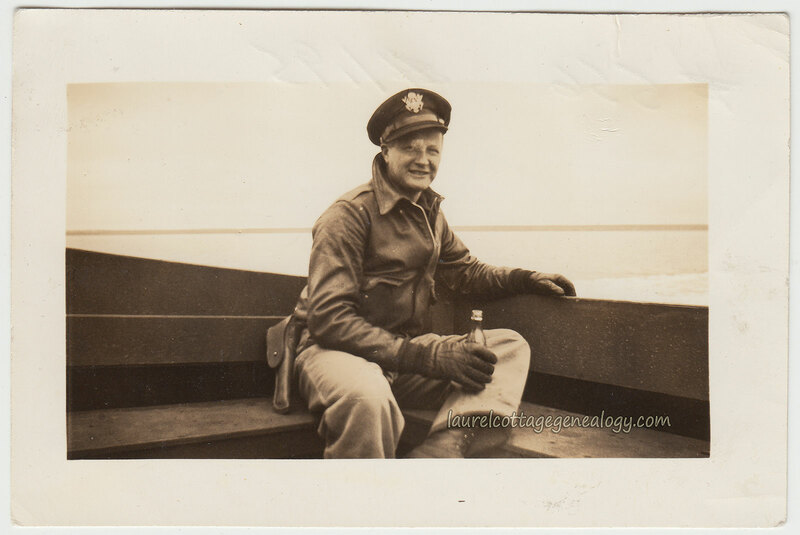 From a little research we think he’s wearing an M-1943 Field Jacket. And the hat, a garrison cap, which bears an insignia on the left-hand side but the design is too blurred to make out. No doubt there are military uniform experts out there who will know. 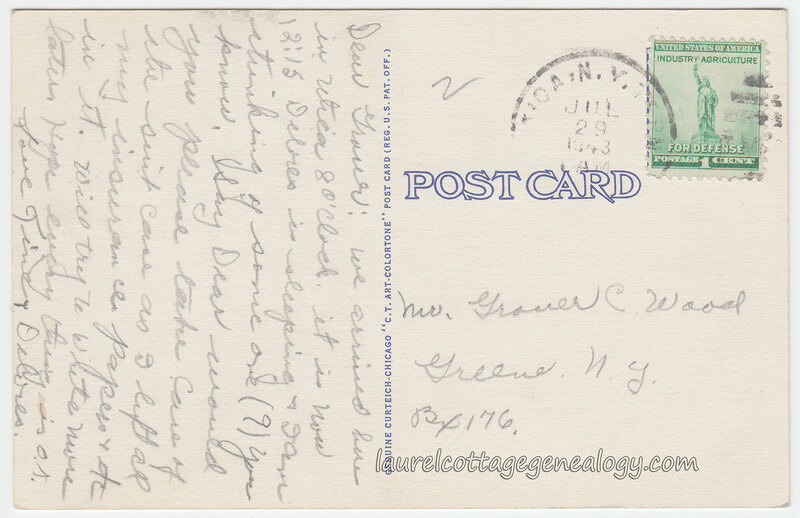 The writing is rather scribbled on the back, but it looks like the young man’s last name could be Wright, and underneath a couple of words, “…..?….cook” or could that first word be an abbreviation of signal? which then makes one think it would be Signal Corps, though that’s probably stretching it. Sources: M-1943 Field Jacket. 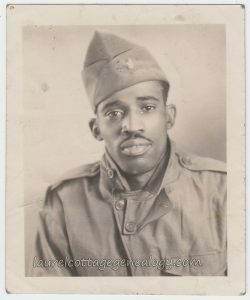 Military Items.com (accessed November 12, 2016). Garrison Caps. At The Front Shop.com. (accessed November 12, 2016). 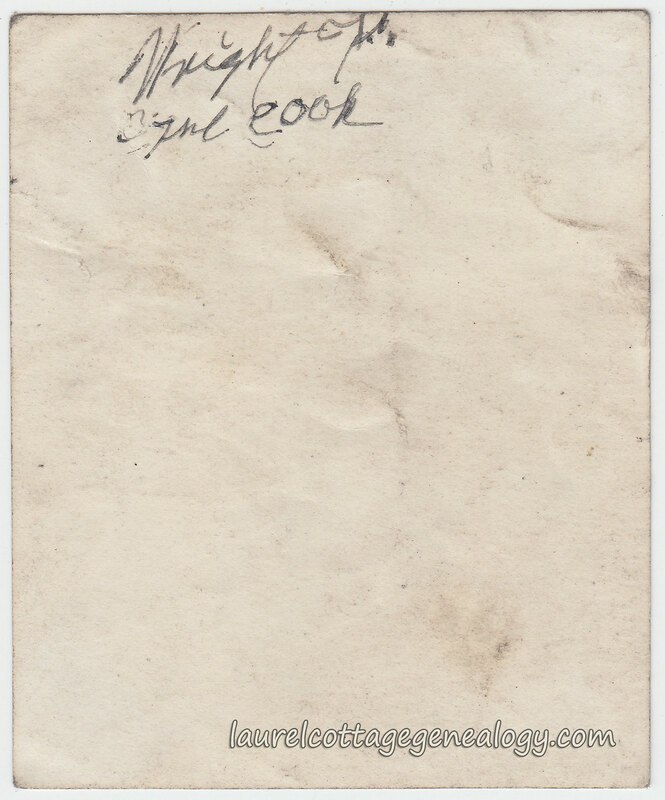 Divided back, used, linen, artist-signed postcard. 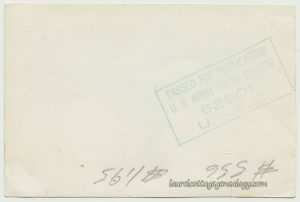 Postmarked from New York, July 29, 1943. Artist: Onorio Ruotolo. Copyright Jos. Zegarelli, 1942. 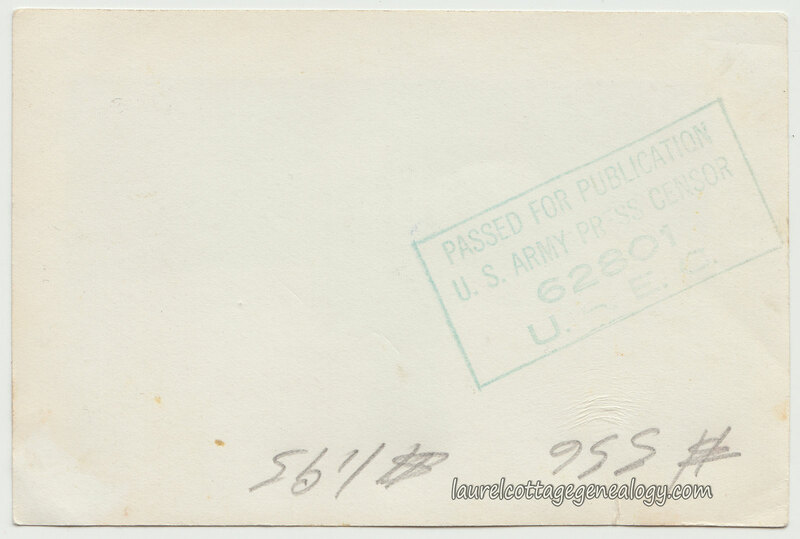 Publisher: Genuine Curteich-Chicago “C.T. 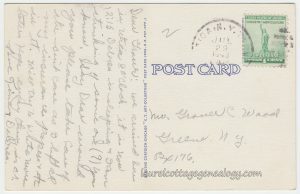 Art-Colortone” Post Card (Reg. U.S. Pat. Off.) Number or series: 2B-H1291. 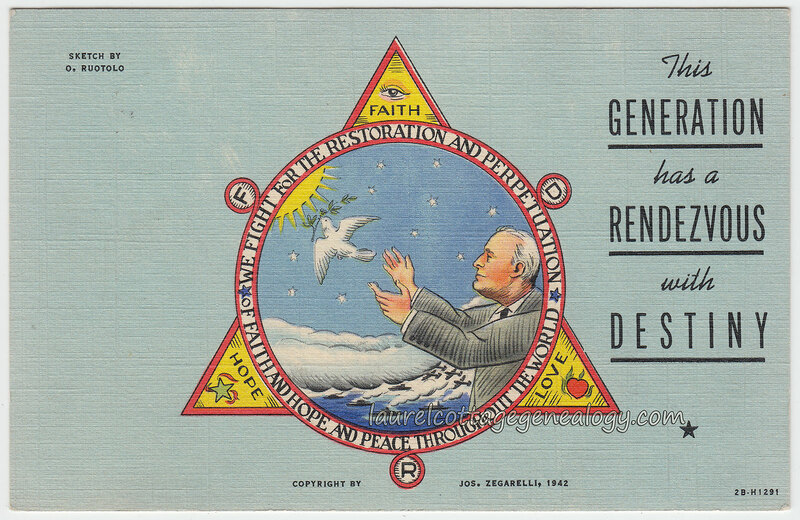 A timely one for this presidential election year 2016, and a great one for any FDR or Onorio Ruotolo collector. Onorio Ruotolo (1888 – 1966) was known as the “Rodin of Little Italy” and was the founder of the Leonardo da Vinci Art School which ran from 1923 – 1942. As of the date of this posting, no other cards were found of its kind. Sources: Onorio Ruotolo. n.d. https://en.wikipedia.org/wiki/Onorio_Ruotolo. (accessed November 6, 2016). Franklin D. Roosevelt. n.d. https://en.wikiquote.org/wiki/Franklin_D._Roosevelt. (accessed November 6, 2016). Isamu Naguchi. n.d. https://en.wikipedia.org/wiki/Isamu_Noguchi. (accessed November 6, 2016). Leonardo da Vinci Art School. n.d. https://en.wikipedia.org/wiki/Leonardo_da_Vinci_Art_School. (accessed November 6, 2016). Stuemke, Chad. “Stargate Detroit.” chadstuemke.com. (accessed November 6, 2016).